We know budgets can only stretch so far, especially if HVAC equipment is an emergency purchase. 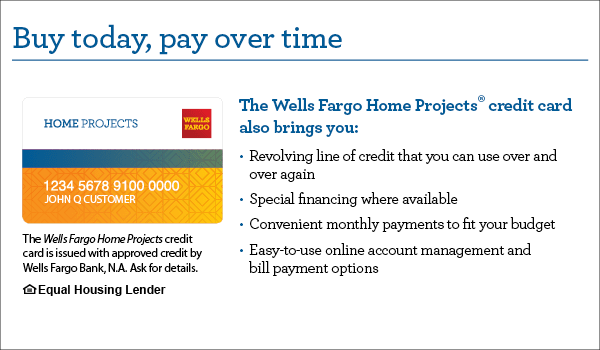 We’re pleased to offer you the ability to pay over time on your Carrier® equipment purchase with financing from Wells Fargo, N.A.. There are several financing options which can provide you with peace of mind without worrying about a possible budget-breaking installation. Your family members can enjoy the indoor comfort of your home as always.